Peanut butter cups have been #1 on my list of treats that I can never refuse for as long as I can remember. It’s lasted me through high school, college, graduate school, two pregnancies, and I’m guessing it’s going to be my weakness for a long time to come. Many of my peanut butter and chocolate concoctions haven’t actually made it on to The Crafting Foodie, and there’s a simple explanation for that: Most of them were savaged eaten before they could be properly photographed. Yup. That’s how deep my obsession for chocolate and peanut butter goes. But luckily, I was able to restrain myself just long enough to document this Chocolate Peanut Butter Cup Cake. This Chocolate Peanut Butter Cup Cake is three layers of rich, dark, moist chocolate cake filled with chopped peanut butter cups and the fluffiest, peanut buttery-est frosting. And just to drive home the chocolate/peanut butter combo, the top layer is frosted with peanut butter frosting and then enrobed with a layer of chocolate ganache. I chose not to frost the sides of my Chocolate Peanut Butter Cup Cake simply because I like the way you can see the peanut butter frosting sandwiched between each of the layers of chocolate cake. It’s reminiscent of an actual peanut butter cup. Also, rustic naked cakes (that’s the fancy term for a cake without frosting covering the sides of the cake) are all the rage. Actually, they’ve been pretty popular for the last year, and I definitely think they’re another gorgeous way to present a cake. To get the full recipe and directions on how to create your very own Chocolate Peanut Butter Cup Cake, head over to my friends Julie and Maddie’s stunning blog, The Tastes of Lizzy T’s. This post is shared at these awesome link parties. My peanut butter radar just went off! Beautiful cake Aida! Oh my goodness Aida this cake is soooo tempting! 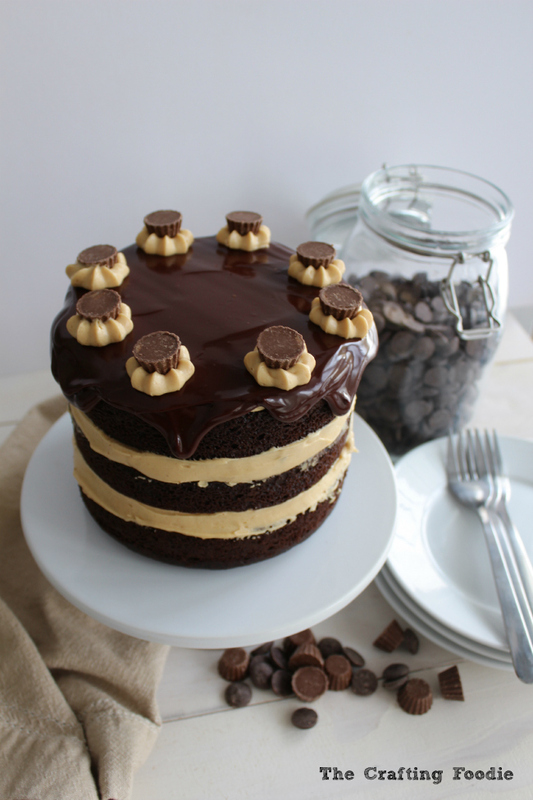 Chocolate and peanut butter is such a winning combination- and I love the way you decorated it! Thanks so much Des! 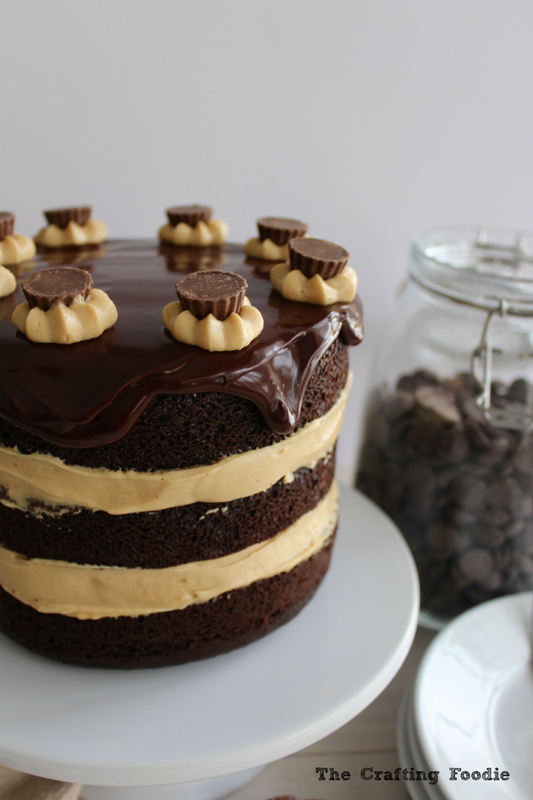 Peanut butter and chocolate are my ultimate weakness!